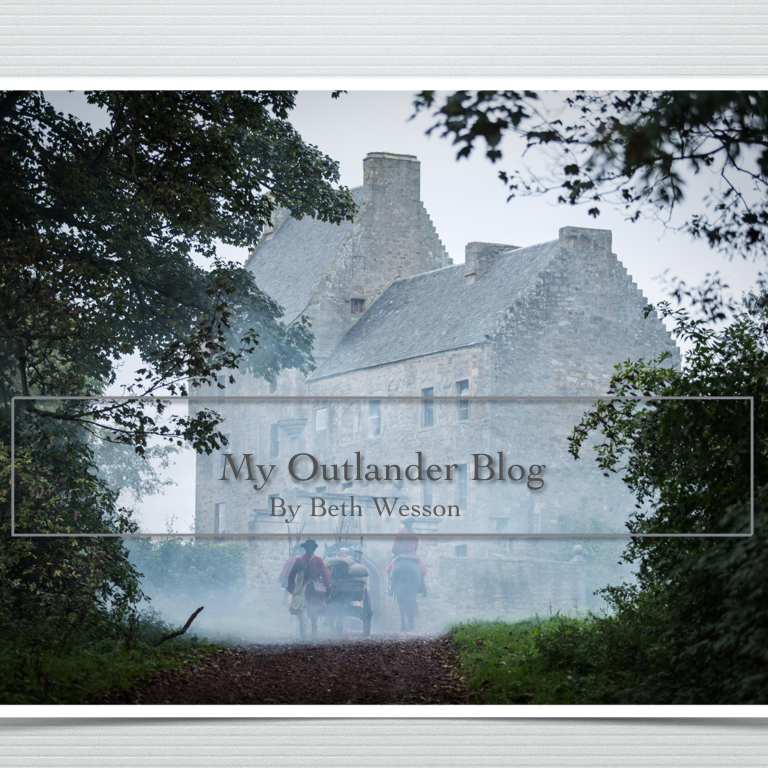 My Neighbors… the Amish…when cultures clash… even in Appalachia – My Outlander Blog! 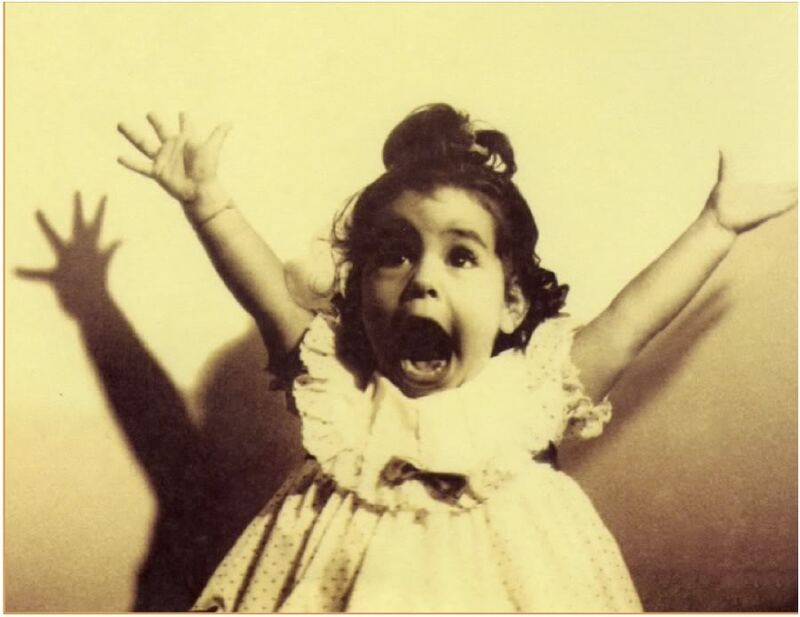 We are sitting at home awaiting yet another snowstorm. I just heard the clumping of horses hooves and the singular combo of whirring and squeaking buggy wheels pass by my house. Once the dogs stopped barking, I suddenly remembered I had promised to write my Amish buggy story. I made this promise after reading an article and looking at pictures of an Amish buggy making “doughnuts” in a snowy parking lot. This made me giggle and think of my own experiences with the small culture clashes and anomalies I’ve observed. 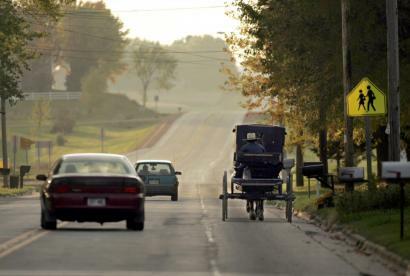 I am not an expert on the Amish or their way of life, but I know a bit and I have had the opportunity to observe members of the local Amish community as they go about their every day, We live on a lake and I often pass trucks and SUVs hauling shiny new fishing or speed boats on shiny new trailers. I also pass the occasional Amish buggy with a green (not sure why they are all green) jon boat strapped upside down to the roof. The difference to say the least is incongruous. Near our house there is the ubiquitous lakeside ice cream stand and often you’ll find a buggy and horse tied off to a tree while it’s passengers are buying the largest ice cream cone the stands sells. (not sure why ice cream is so popular among the Amish but, I’ve observed this scenario many a time in my day). Often, I see the bearded and non bearded Amish craftsmen and laborers being transported to job sites in big white (I don’t know why they are always white) passenger vans that the locals affectionately call “Yoder Toters”. My point is I see the Amish all the time and sometimes, I see some things that make me chuckle. Once, I was at the beach at our local lake reading under a tree, while my children made sand castles at the water’s edge, when two young Amish families arrived. Dressed in traditional summer garb, bonnets and all, the women laid out their quilts under the tree next to me and began to put the children into bathing suits while the men went to the dressing room near the concession stand. The men returned in their swimming trunks and began to care for the children while the women changed. I’m not sure what I expected, 1890 bloomers perhaps, but that wasn’t what I saw. The women returned wearing bikinis. I’m sure I had to snap my mouth shut as I simultaneously thought there must be a loop-hole in the dress code and that they were going to get really sunburned (those bikini bodies were just a tad on the white side). This leads me to my favorite example of clashing cultures, you may or may not know that there is a time period during a young Amish person’s life when they are given the freedom to experiment with worldly ways. They then choose whether to stay and become part of the faith or leave to find their own path. It’s called Rumspringa. The choice to go or stay is a permanent one and wisely (in my opinion) the elders knew this choice must be made through free will. You would think a taste of the wide wild world would lure the young people away, but I’m happy to say after sowing some “oats” most return to the fold and farm. My story is about a young man in the midst of his Rumspringa. I was having my second cup of coffee and reading the paper on a Sunday morning. Our local paper publishes a column of police runs. ( It is always interesting to see who was arrested for speeding etc.) Scanning the column for familiar names, I came across a single sentence written without commentary, but it conjured a very detailed image for me. The police record read that Samuel Miller (totally fictitious name), 16, driver of horse-drawn vehicle, had been cited for playing his boom box too loud. Well, now I’m curious and trying to picture just what had transpired to result in this citation. I pictured my students leaving school in their souped-up cars practically vibrating with the bass being played on the car’s stereo speakers. You can hear the booming approach as they draw near. The noise increases in volume the closer they get and then fades into a softer thumping the further they drive down the road. All in all, my ears are offended for a mere few seconds. Irritating, but not worth calling the police over. So, what happened to Samuel? After a few moments of puzzling, I came up with what I considered a viable scenario. Samuel had likely been given the “keys ” to the horse and buggy and had driven into town. Now, I won’t tell you the town’s name because I feel the need to protect Samuel’s identity and dignity. But, suffice it to say “town” is a relative term in my part of Ohio. The Amish live in the most remote areas of our county and the nearest town usually consists of about four blocks of homes (if that) and might boast a general store, bank, post office and if you are really lucky a small restaurant. So…here’s what I pictured…Samuel leaves the farm in borrowed buggy and heads to town to stretch his Rumspringa wings with a contraband boom box beside him (probably borrowed from an “English” teen neighbor). After a few hours, (it takes awhile to get anywhere in a buggy) he arrives in town and feeling his freedom he blares his boom box as he travels through the streets of the big city. …just like my students…in their CARS. Cars is the word key to this situation. If Samuel had been in a car his boom box would have offended the local residents for the few seconds it took him to drive by, but he wasn’t in a car. And after taking hours to get there, I’m sure Samuel didn’t just take a quick tour through town and then return to the farm. No, I’m pretty sure this young man visited the general store and maybe bought a Pepsi and drove around town…several times….boom box booming…as he drove a horse and buggy…. I have the very clear image of Samuel clumping and whirring and booming past old Mrs. Brown’s house one too many times. What was playing on the boom box we can only imagine. I like to think it was M.C. Hammer (just cuz you can’t touch that). There isn’t a lot of diversity in my little part of Appalachia and I’m grateful for the Amish folks who choose to live here. I love that they exist and continue to thrive despite the world around them and despite the culture clashes..They remind me that America can still be a place for religious freedom and lifestyle choices. Thanks! Not sure how you found me, but glad you did! LOL! Reblogged this on My Writing Place is by a Lake.